For many people, running is a way to lose weight, manage blood pressure, and simply maximize personal fitness. For others, running -- and improving their running ability -- becomes a sort of competition. Individuals who consistently run 5 miles may eventually desire to complete their usual workout at a faster and faster pace. 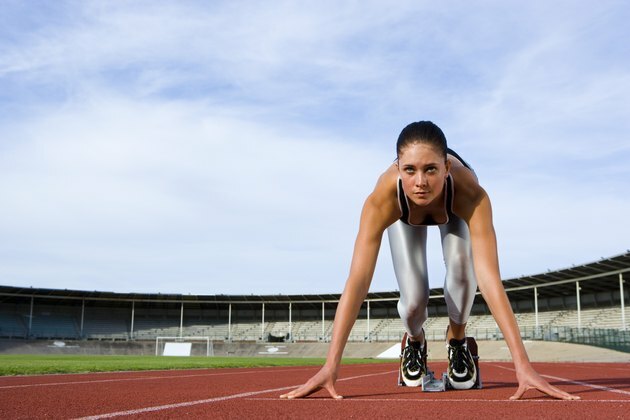 To run 5 miles faster, you should include high-intensity interval training, plyometrics and sprint repetitions. You should also schedule rest days. According to the American Council on Exercise, high-intensity interval training can be effective when it comes to increasing running speed. High-intensity interval training -- otherwise known simply as interval training -- is a technique in which runners increase or decrease the intensity of their workout by changing workout speed or grade periodically. 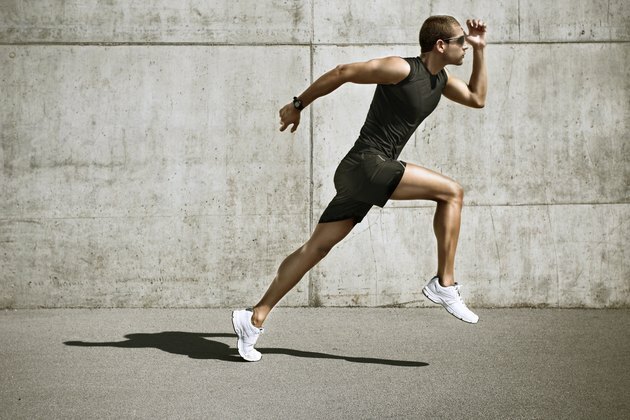 For best results, a one- to three-minute burst of high-speed running should be followed by a recovery period of three to five minutes of running at a slow to moderate pace. Repeat this cycle throughout a run to build endurance and increase speed. The American College of Sports Medicine states that plyometrics are crucial when it comes to increasing muscle recruitment -- an important step in improving running speed. Runners who perform plyometrics may see an improvement in speed within two months. While a number of different plyometric exercises can be beneficial, those with exaggerated movements of the mechanics of running can be especially effective. Consider alternating leg bounds, box jumps, or single leg jumps for improvements in running speed. 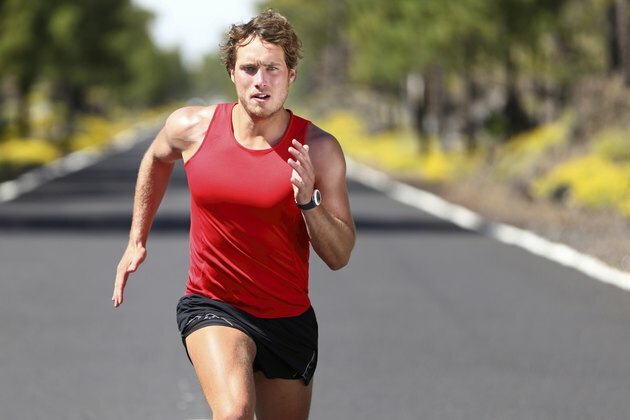 The American Council on Exercise encourages runners who want to improve their speed to consider sprint repetitions, a form of interval training in which runners cover a designated distance as maximal speed, rest for a short period of time, and repeat the cycle. Individuals who are new to this form of training should start with three to five repetitions and increase the number of sets as their endurance increases. This type of routine works well at a track and should be performed at least once per week to maximize running speed. Rest is just as important as exercise when it comes to improving running speed. It allows the muscles to recuperate from the damage inflicted upon them during runs and resistance training sessions. Many people find that their best runs occur a day or two after they have taken a "recovery" day. While the amount of rest needed depends on the intensity of the exercise sessions, at least one day off per week is a must.